Yay! Summer's here! But, seriously you know we are all still working (or catching up) at least a little during summer break. I know I am still thinking about things involving the classroom and students and how something could be made better. That's why we are bringing you "Summer Stock Up." Tons of amazing teachers will be blogging about products that can help you get started back on the right track next school year. There are different categories you can browse through for all different grade levels. Then you can head to our Facebook pages on Saturday and Sunday to pick up some samples for free! I love using Reading Strategy Posters when I introduce new reading strategies to my class. 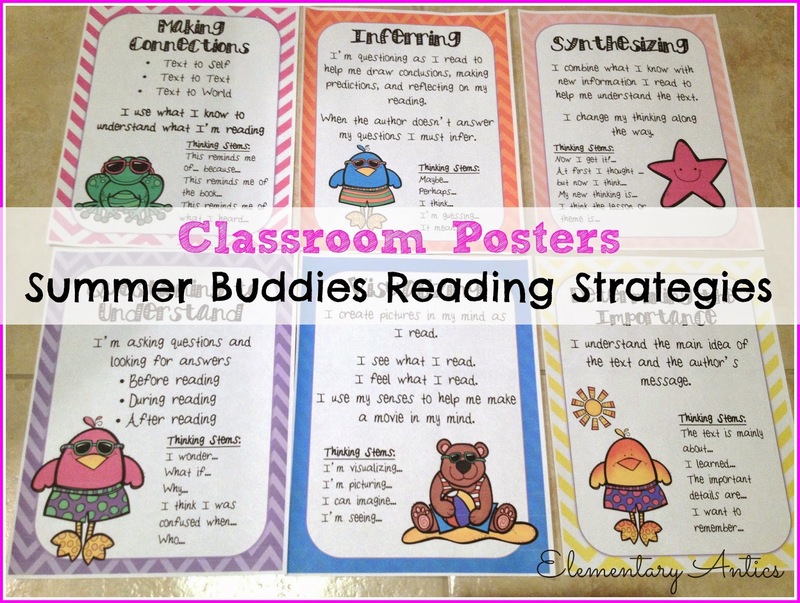 These posters have a short description of each strategy: Making Connections, Visualizing, Questioning, Inferring, Synthesizing, and Determining the Importance. 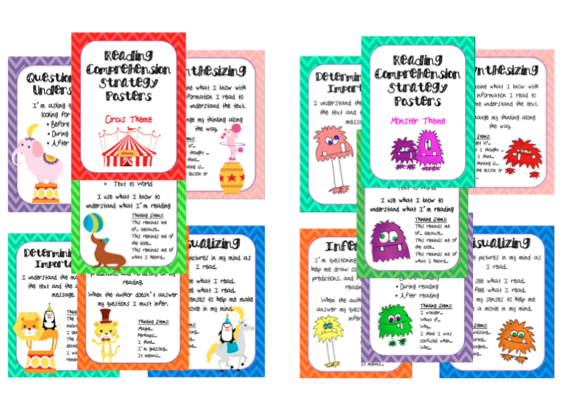 They also have some thinking stems to help your kiddos articulate and write about using each strategy during reading. I often will shrink and copy these so the kiddos can use them in their Interactive Reading Journals. This is great so that they can be referred to throughout the year during reading groups and independent reading. You lucky ducks can head over to my Facebook page this weekend to get my Summer Buddies themed set for FREE! I like to use my Reading Literature Graphic Organizers a lot in guided reading, small group, and whole group instruction. 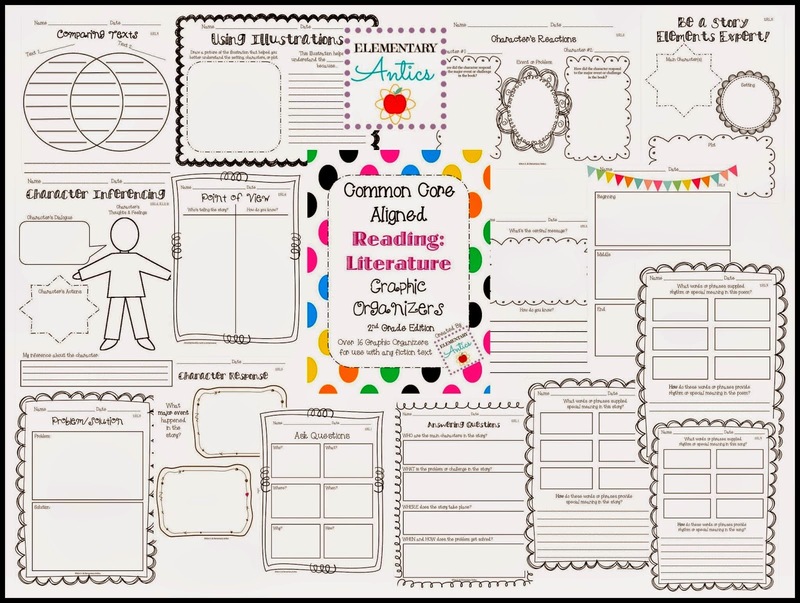 These organizers cover all of the Common Core literature standards and can be used with all kinds of books. Check out what's included below. My FREE guided reading resource for you are some of the graphic organizers included in my whole pack that I like to use when focusing on Poetry. I love to use poetry in guided reading so I can more closely discuss particular writer's crafts that we find a lot in poems. Plus, so many poems offer some amazingly rich vocabulary that is great to introduce during a small group. I love to use Laura Candler's Teaching Resources Poetry Terms Cards during my guided reading groups too. 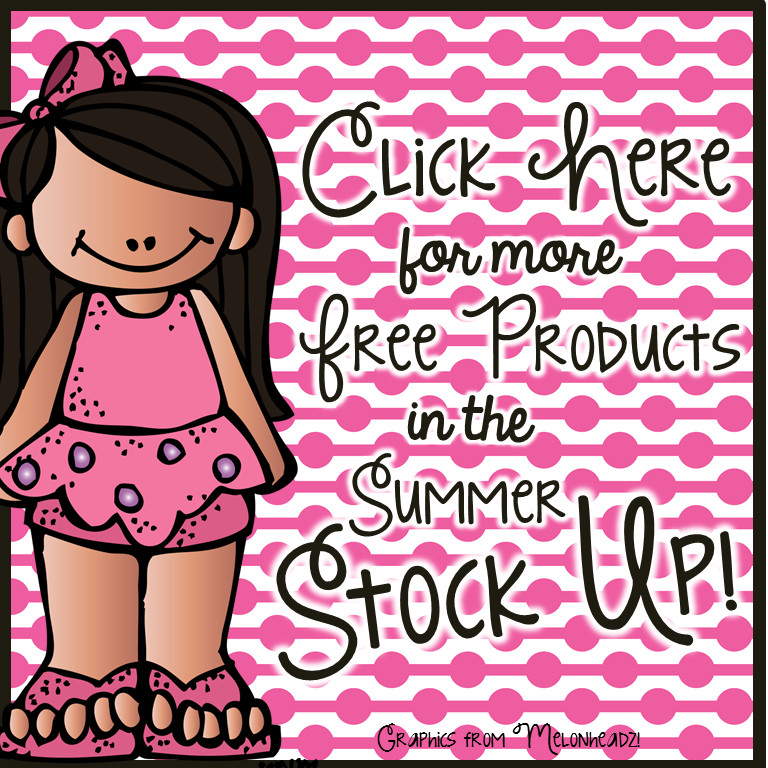 Click the icon below to head over to my Facebook page to grab your freebies this weekend!